Showing recent results 4426 - 4440 of 4486 products found. 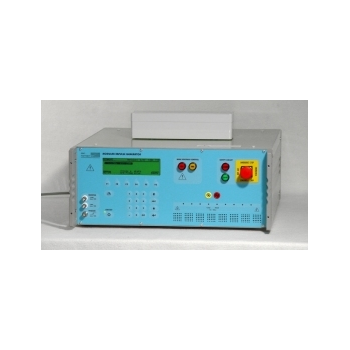 MD 5075x - Scope T&M Pvt, Ltd. 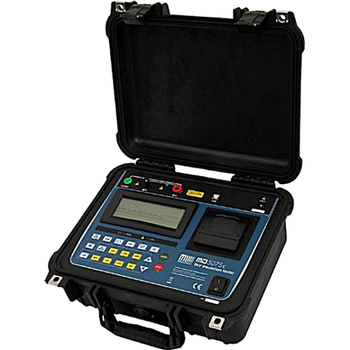 The digital insulation tester model MD-5075x is Megabras'' cutting edge insulation analyzer equipment and it is one of the most complete and sophisticated available in the international market. 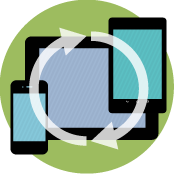 A powerful software allows for further analysis of tests results, including features such as graphical representation and automatic report generation. Its proven technology provides safe, reliable and accurate measurements of insulation resistances up to 5 TW, with 4 pre-selected test voltages, 500 V - 1 kV - 2.5 kV - 5 kV. Other test voltages may be selected in steps of 25 V, 100 V or 500 V.
Screw connections on top of the generator, enable easy connection to the EUT. 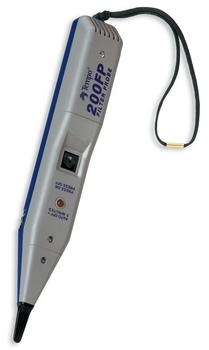 The MIG0603 is the ideal voltage insulation tester with a broad application range. The MIG "Modular-Impulse-Generator" is a flexible kit system, ready to quote tailored generators for special test applications. 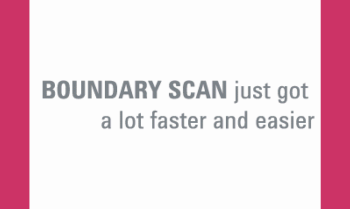 The MIG is a further innovative solution of EMC PARTNER AG to cover customers requests. The basic units are discharge modules (patent pending) which can be configured in serial or parallel, to offer an optimum solution for the customer need. The use of one type of discharge module guarantees a high reliability and a high qualit . Requires TC-MIG24 or CN-MIG24. 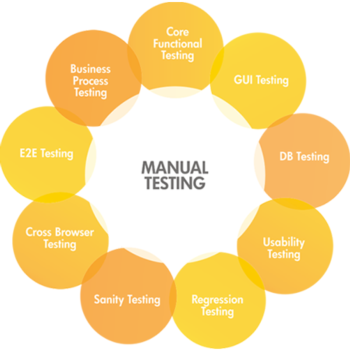 TestOrigen Software Testing Services Pvt Ltd. 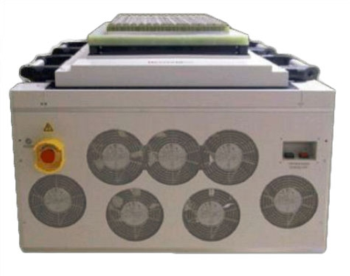 The Vacuum Pressure Unit (VPU) is an 7-inch high (4U), rack-mounted pneumatic device that provides vacuum and pressure as external sources for use with Air Data Calibrators and Testers. The VPU is enclosed in a 7.0 x 19.0 x 14.5 in. case and weighs 18 lbs. The lightweight design allow for ease of handling and may be used on a bench top or mounted into a standard 19-inch wide equipment rack in a repair facility. The operates with 115VAC single phase power. Rear panel fittings allow connection of the VPU pressure and vacuum outputs for convenient operation. Two hoses are provided, one each for vacuum and pressure, with a length of 8 feet each for connecting the VPU to the intended calibrator or test system. 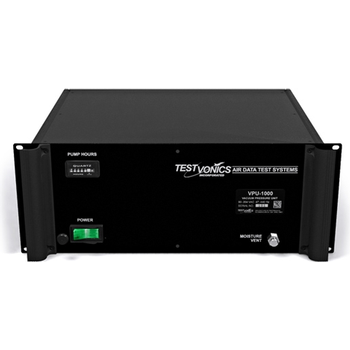 The VF1600 Test Station is a high current forward pulser designed to be used in conjunction with our FEC200E tester. 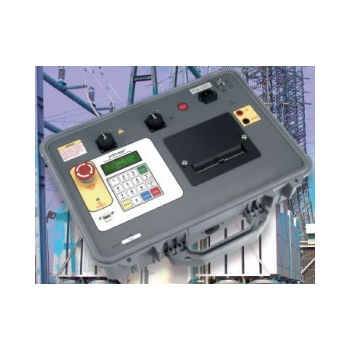 This gives you all the versatility of the proven FEC200 with the addition of much higher forward current. The VF1600 station can produce a maximum current of 1600A at up to 5V using an 8.3 mS half sine waveform at the built in test station, and THETA and DVF tests at up to 500A at 10mS pulse width. It is derated for wider pulses. For rectangular VF pulses at 300us or 1ms, it can produce up to 2000A. The station can also test all of the usual FEC200 tests in the same test program. 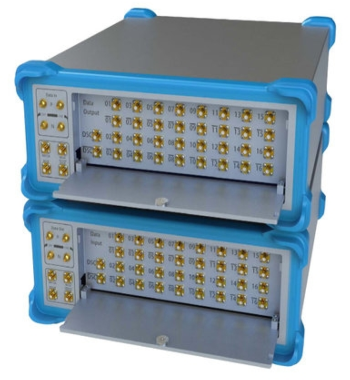 The N9077C WLAN measurement application is one in a common library of more than 25 measurement applications for the Keysight X-Series signal analyzers, an evolutionary approach to signal analysis that spans instrumentation, measurements and software. The N9077C WLAN measurement application transforms the X-Series signal analyzers into IEEE 802.11 standard-based WLAN transmitter testers by adding fast one-button RF conformance measurements to help you design, evaluate, and manufacture your WLAN transmitter. The measurement application is fully compliant to the IEEE 802.11 series standards, helping you thoroughly test your WLAN design with confidence and support manufacturing with a single application that covers 802.11a/b/g/j/p/n, 802.11ac, 802.11af,802.11ah, and 802.11ax. mOByDic1310 - Ozen Elektronik Inc. The J1850 VPWM multiple ECU simulator provides a professional OBD development platform which allow the user to test the OBD functionality on the table. Simulates 4 differnt ECUs. reading VIN and suspended DTC is possible . 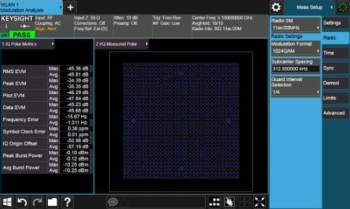 Using 5 potensiometer , 5 live data can be changed and some fixed PID values are provided. Pressing DTC bouton the trouble codes are generated and the MIL LED is ON. Service 4 commands clear the DTCs and the MIL LED. Connection to the tester is provided via a J1962 female OBD port . it needs an external 12 V power supply . More information you can get from the corresponding chipset datasheet. The N3500 is Neosem Technology’s fourth generation memory test system. 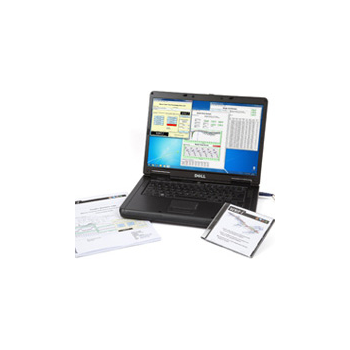 Specifically designed for Flash Components and Flash Cards, the N3500 tester-on-a-board architecture targets the broadest range of DUT technologies in various form factors and packages. Each Tester Board (or “Blade”) contains 288 I/O pins and 32 DPS supplies. Up to 64 Blades populated in one test head can test over 2000 DUTs in parallel. Neosem Technology’s high parallel DUT count architecture, combined with low capital cost, provides the absolute lowest HVM cost of test. The new L-260 Audio Test Panel replaces the old L-240 panel with a greatly improved layout and easier testing procedures. The old L-240 started life as a tester for the KAA-445 audio controller and was added to or modified over the last 20 years in an effort to keep it current. However, with the newer audio controllers it was due for a complete redesign to make both the cable design and testing procedures easier. This new design will save large amounts of time testing the newer as well as the older audio controllers. We all know time is money and replacing your old L-240 panel/harnesses with the new L-260 will pay for itself in a short time.